In stock -This product will ship today if ordered within the next 14 hours and 30 minutes. Calcium Ascorbate comes in a convenient powder form which is a gentle, non-acidic, buffered source of Vitamin C. This powder can be mixed into drinks and enjoyed with meals to provide a great source of the essential Vitamin C (calcium ascorbate). 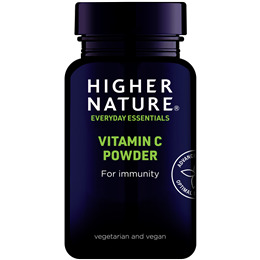 Vitamin C, also known as ascorbic acid, is probably one of the most highly publicised but yet least understood of all of the vitamins. Vitamin C is required to help maintain and support proper growth and repair of tissues in all parts of your body. It is necessary to form collagen, an important protein used to make skin, scar tissue, tendons, ligaments, and blood vessels. Vitamin C is one of many antioxidants. Vitamin E and beta-carotene are two other well-known antioxidants. The body does not manufacture vitamin C on its own, nor does it store it. It is therefore important to include plenty of vitamin C-containing foods in your daily diet or as a supplement for sustaining good health. CONTAINS NO sugar, salt, starch, soya, wheat, gluten, yeast, lactose, dairy products, artificial preservatives, colours or flavourings. Take ½ teaspoon (2.2g) a day in water or juice (children over 5 years, ¼ teaspoon [1.1g] once a day), with meals, or as your health professional advises. 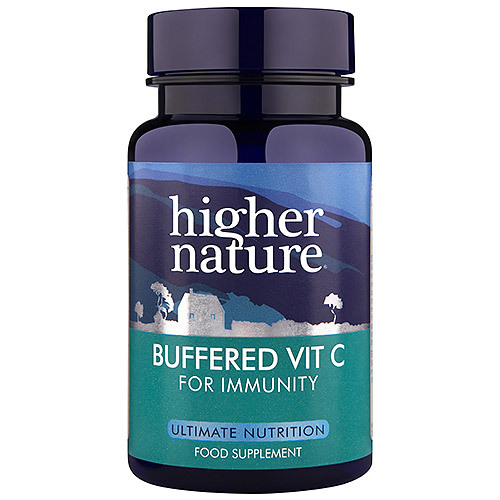 Below are reviews of Higher Nature Buffered Vit C - For Immunity - 60g Powder by bodykind customers. If you have tried this product we'd love to hear what you think so please leave a review. Calcium Ascorbate is a gentle, non acidic, buffered source of Vitamin C in powder form that can be mixed into drinks.